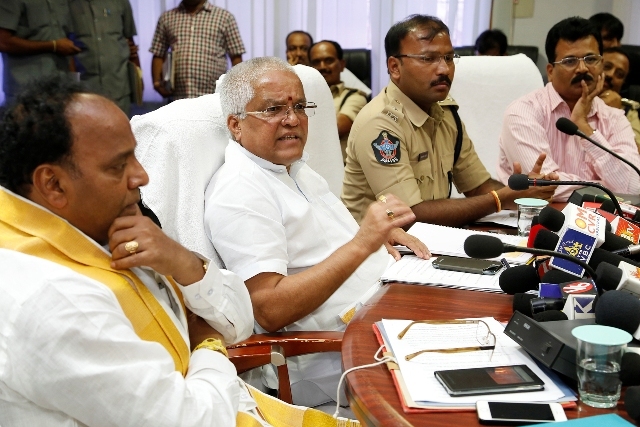 Tirumala, 25 September 2014: TTD EO Sri MG Gopal called upon the employees of TTD, police, press to join hands together and make Srivari annual brahmotsavams a grand event. 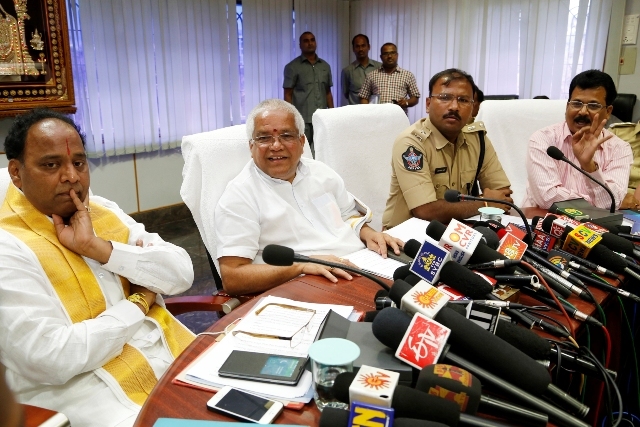 Addressing media persons at Annamaiah Bhavan in Tirumala on Thursday, the EO said TTD has made elaborate arrangements for annual brahmotsavams which are set to commence from September 26 in Tirumala. He said, every year we celebrate this religious event as a festival. As more and more number of pilgrims is expected this year for brahmotavams, it is the first and fore most responsibility of all of us to discharge our duties in unison with each other so as to enable more number of pilgrims to witness the vahana sevas”, he added. The EO said, Honourble CM of Andhra Pradesh Sri N Chandra Babu will offer silk vastrams to Lord Venkateswara on the first day of brahmotsavams on September 26. He said, the police have made hi-fi security arrangements for the annual event. He said vast arrangements have been made to supply food, water, milk etc. for the pilgrims on round the clock basis. “The Srivari Seva volunteers have been deployed to render service to pilgrims in galleries, outside queue lines, compartments etc. They serve snacks, meals etc. on continuous basis”, he maintained. 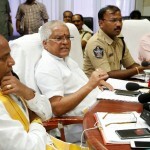 Later the SPs of Tirupati and Chittoor Sri Gopinath Jetti and Sri G Srinivas respectively briefed about the bundobust arrangements. 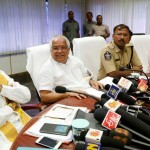 They said over 5000 police personnel have been deployed to offer security to multitude of visiting pilgrims for brahmotsvams. Tirumala JEO Sri K S Sreenivasa Raju, Additional CVSO Sri Siva Kumar Reddy, ASP Sri Swamy and others were also present.